From allowing clients to leave home with the peace-of-mind knowing that their pets are in good hands to serving as trusted pet-care advisors, these finalists are shining examples of this profession’s importance. 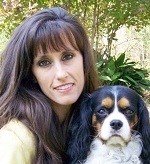 Pet Sitters International (PSI) has selected its top-five finalists for the 2012 Pet Sitter of the Year™ Award. First awarded by PSI in 1995, the Pet Sitter of the Year designation is the industry’s highest honor and recognizes true excellence for the in-home pet-care profession. 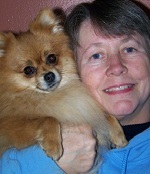 Judy LaFave, Missing U Pet Sitting, Inc., Merrionette Park, Ill.
Colleen McDonough, Barks and Blooms, Baldwin, Md. 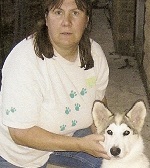 Gina Patrick, Tall Tails Petsitting Service, Slidell, La. Vanessa Sorace, Zoo Sitters, LLC, Cape May Court House, N.J. The five finalists move on to the next phase of the judging process and the winner will be selected by a committee including David Pearsall, vice president of Business Insurers of the Carolinas; Arden Moore, pet expert and founder of Fourleggedlife.com; and Jordan Di Marco, PSI’s 2011 Pet Sitter of the Year . This year, more than 360 nominations were submitted. Nominees are evaluated based on adherence to PSI’s Recommended Quality Standards, degree of professionalism and contributions made to his or her community and the pet-care industry at large. The 2012 award is sponsored by Business Insurers of the Carolinas. 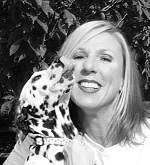 The Pet Sitter of the Year will be announced in January 2013. The winner, along with the other four finalists, will be recognized at PSI’s 2013 Quest for Excellence Convention next September in the birthplace of the pet-sitting industry, Winston-Salem, North Carolina.